Dominique & Scott traveled all the way from Canada to wed in the Las Vegas desert with a few of their close family and friends as witnesses. 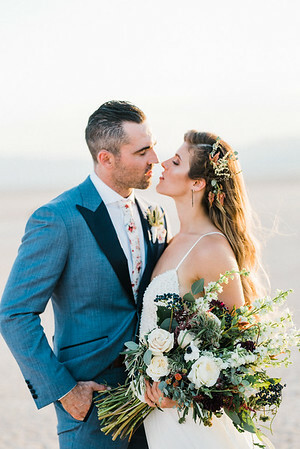 This sweet, gorgeous couple didn't want any ole fancy Strip venue, this couple wanted something a little different, something a little out of the ordinary, and something a little... well, weird. And they got just that. Nelson's Ghost Town in Nelson, Nevada is just outside of Las Vegas about an hour from the Strip. This Ghost Town is filled with all sorts of weird. There are aliens in jars, snakes in the freezer and chain saws hanging from the ceiling. I mean, if you're wanting unique with a touch of strange, this place has it! The wedding guests weren't too sure where Dom & Scott were taking them and were a little scared this might be the start of one of those horror movies or a ploy to rob them all, haha. 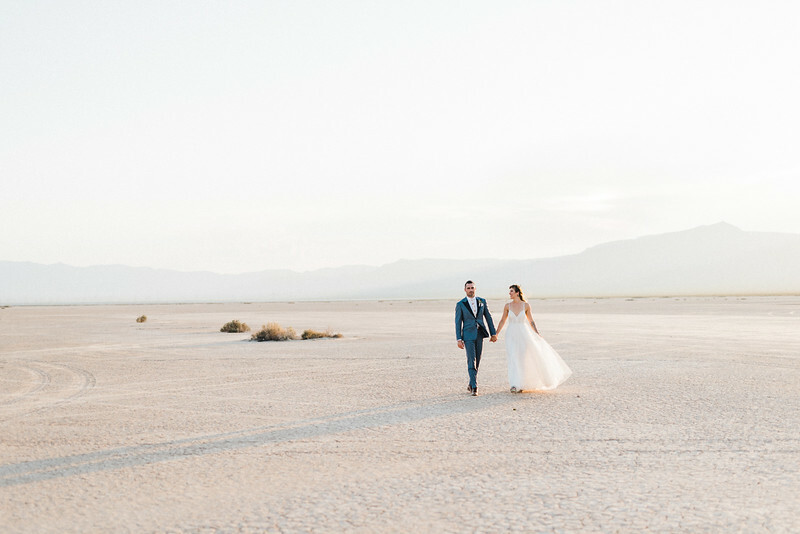 But once they arrived and saw the ceremony location with the glowing cacti amongst the bald desert mountains, they were in love with this unique wedding venue. 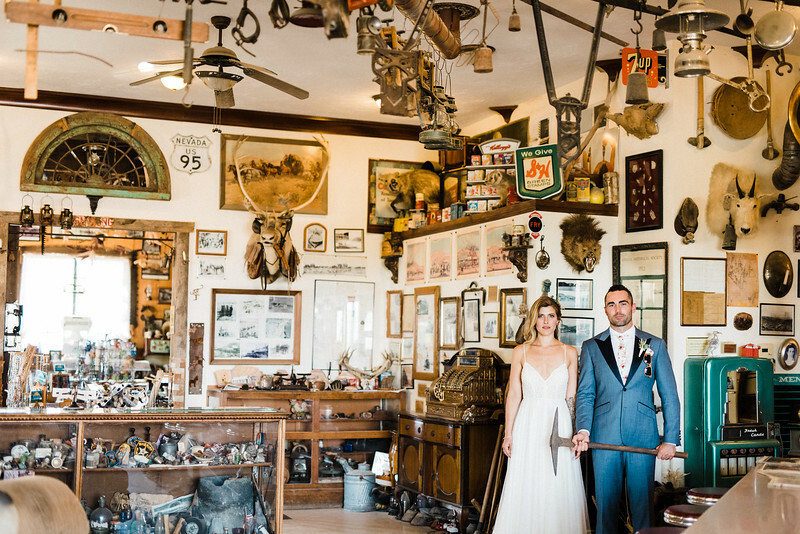 The store at Nelson's Ghost Town is filled from top to bottom with all sorts of awesomen. There's taxidermy of all kinds on the walls, antlers, badges, pictures, artifacts, old bar stools and lots of lanterns. It's honestly like a little museum. Outside there are several old barns, lots of old, unique cars and even a wrecked airplane. You will need days to look around and see everything this place has to offer! Just look out for the rattle snakes, they have lots they claim. And if you are brave, ask to see the dead snakes in the freezer. I'm sure they will proudly show you! 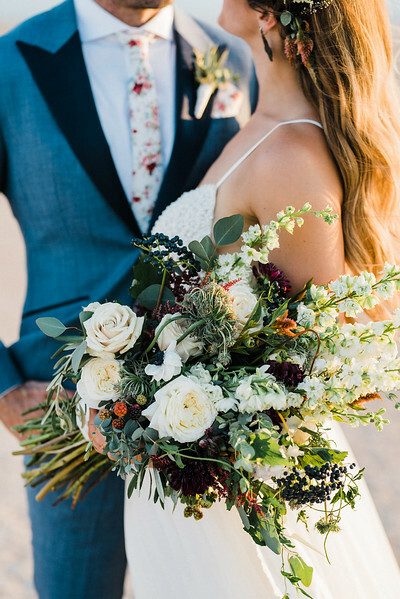 This stunning deep red and purple bouquet which included raspberries along side roses and eucalyptus was created by my talented friends at City Blossoms. 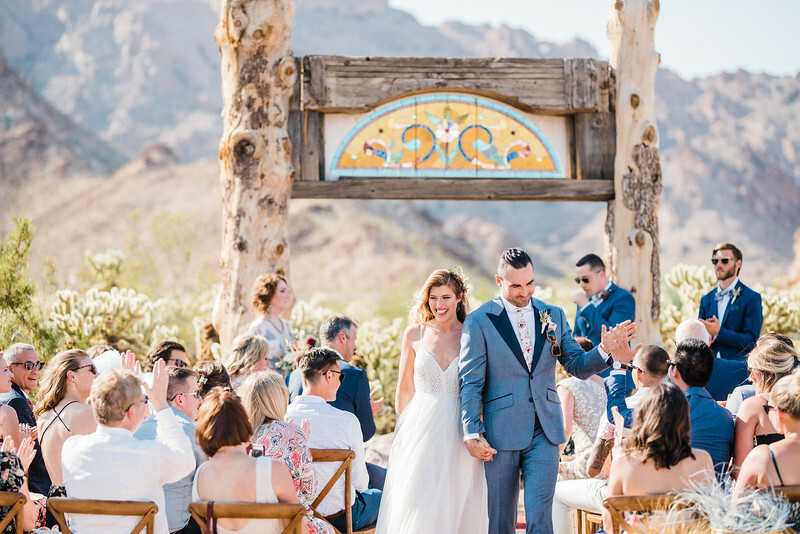 The ceremony was held at the outdoor wedding venue space, with a gorgeous stained glass archway and views of the desert cacti and mountains. 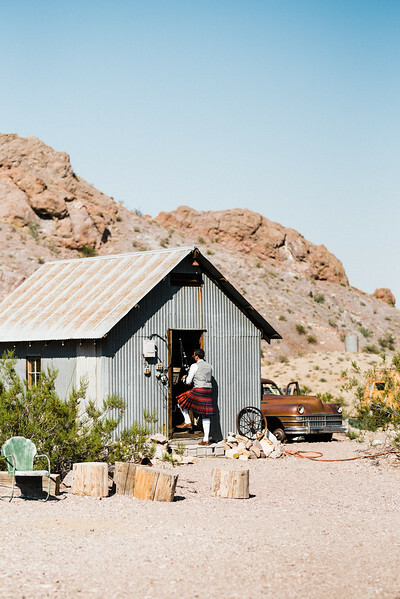 The couple included a Handfasting Ceremony, a Celtic, Irish tradition, to celebrate Scott's heritage. Their friend played the bagpipe as the wedding party entered and exited the venue. 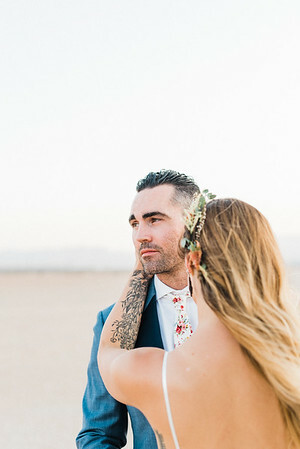 It was such a beautiful and unique ceremony with a few joyous tears shed and lots of laughs! 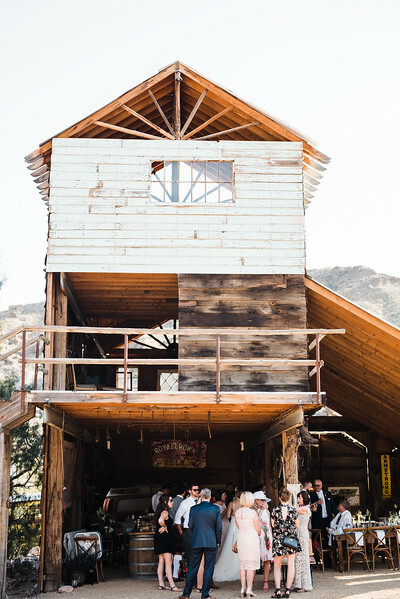 The cocktail hour was set up in the little barn next to the wedding venue. 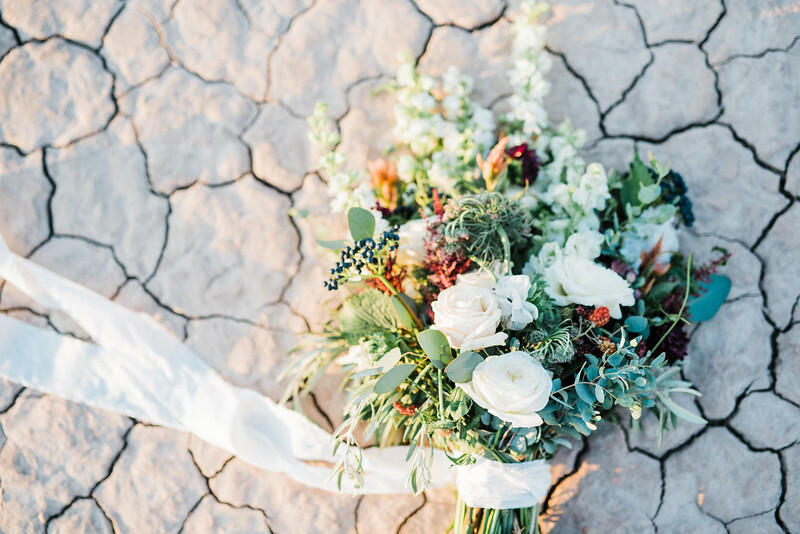 It was the perfect spot for a moody vibe and the darker tones the couple chose. 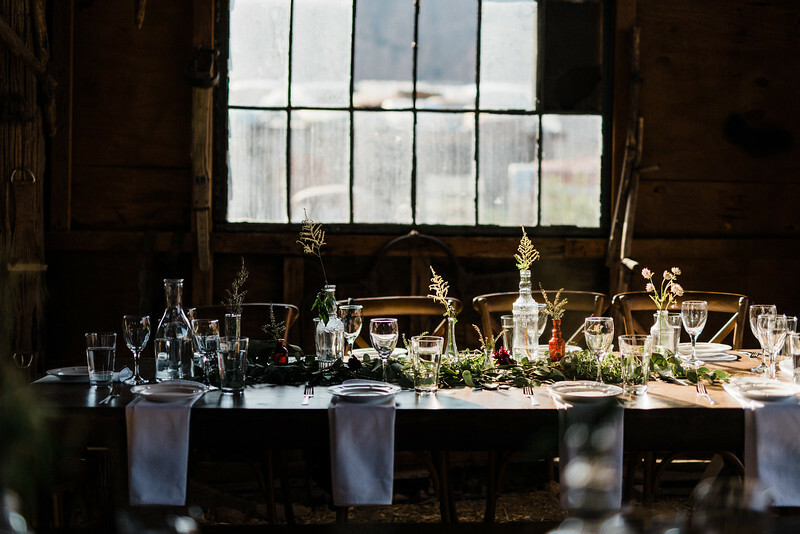 The table settings were simple with glass jars and vases with greenery and pops of purple flowers. 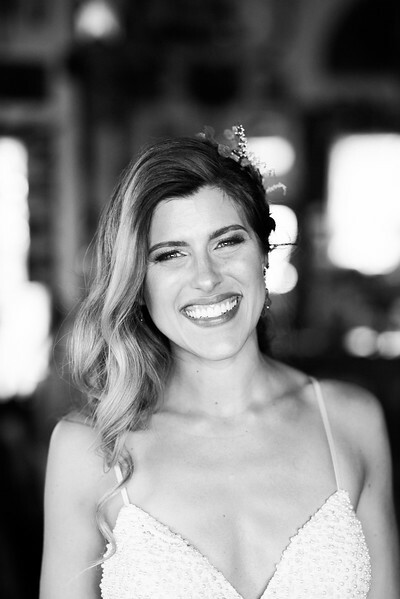 Wedding planner and coordinator, Tara, With Love, completely transformed this space with all the pretty little details. 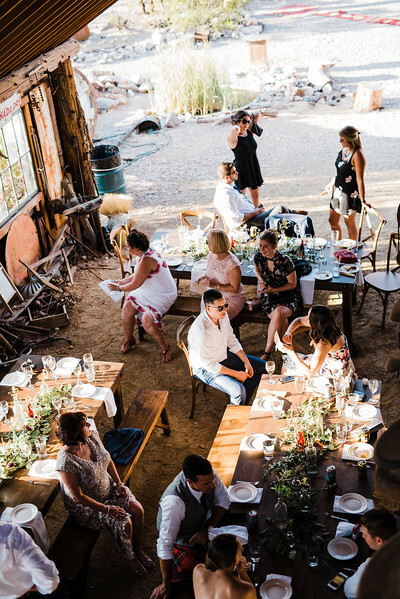 The stunning furniture rentals from Blooming Belles Rentals and Events By Eden were the perfect addition to this rustic barn space! Thank you so very much for asking me to be a part of your wedding day! You are gorgeous both inside and out and I can't wait to see what the future holds for you two!! I'm so sorry we have way too many of those darn stick things that kept getting stuck in your dress, but thank you for taking some with you, haha. ;) Your day goes down in the history books as the most gorgeous and unique wedding with a tad bit of strange (thanks to the frozen snakes and aliens, haha)! Thank you to your family and friends for being the sweetest people! I hope you all had an amazing time! I know this will be a day you will all never forget! 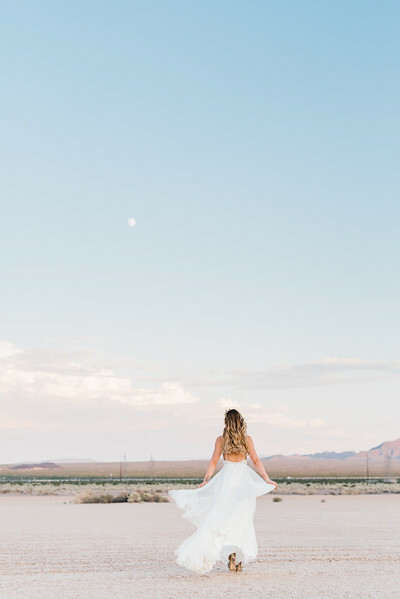 Kristen is a wedding & editorial photographer based out of Las Vegas, Nevada. 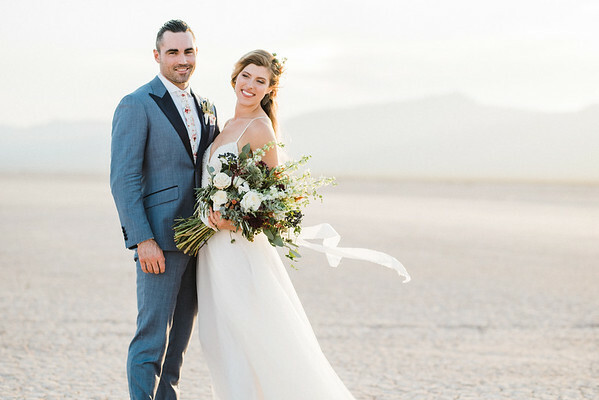 She captures timeless, intimate desert weddings and fun, unconventional elopements for laid-back lovers flying into Vegas from around the World. 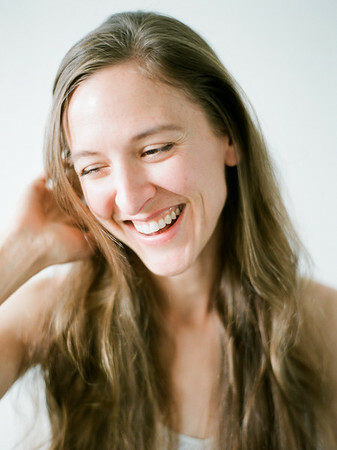 Read more about Kristen and her airplane love story.